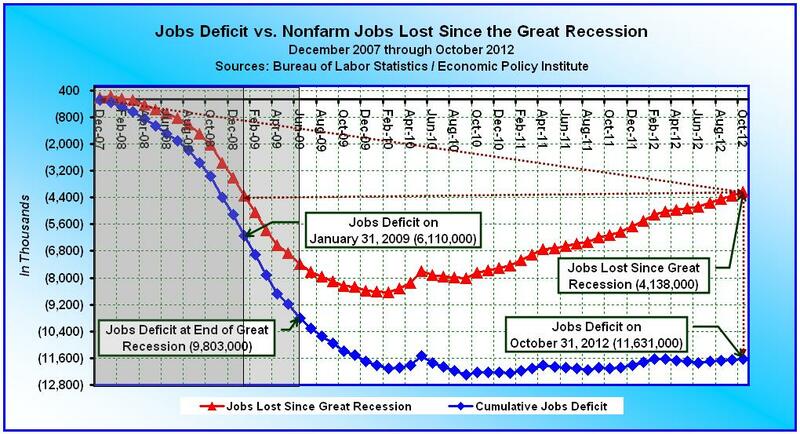 ← Has Obama Created More Jobs Than Bush Yet? Good job on the analysis. A fact based approach is what is needed to reset the conversation. It would be better if you removed “Obama” and focused on what THE ECONOMY needs for growth. The JingOists will see this as an “Attack On Obama” and will recoil. At the same time I believe that the USA has structural problems and that no one president is going to come in and correct the problem. The AMERICAN PEOPLE are going to have to lose a good amount of their entitlement mentality (this include RICH AMERICANS) and agree to expect less from the government and pay more in DIRECTED TAXES until we get out of this danger zone. I went to the “Concord Coalition's” “Fiscal Wake Up Tour” – held at GSU about 6 years ago. They said that whomever is the next president (2008) is going to have to be honest with the American people about our dire situation. (They were predicting that 2016 was going to be the bewitching year – with no knowledge of what 2008 would bring us). With this fiat currency/economy many people are living in a dreamland as to what the future holds. There will be no more mention of the name Obama going forward, the word Government will be used and people can interpret that however they want. I somehow don't see people giving up the entitlement mentality, I think we just entered into the Greek zone. The Concord Coalition was right, but we have yet to awaken. The prophecy came to bear in 2012 but the people chose to ignore it.